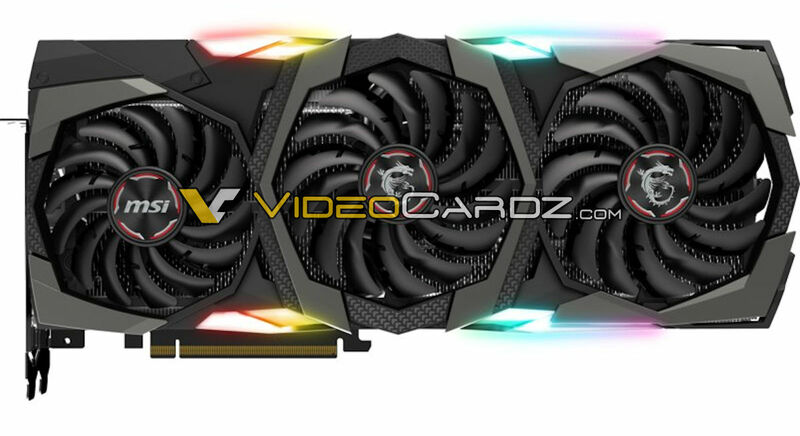 We have first pictures of upcoming custom GeForce RTX graphics card from MSI. MSI’s GAMING X TRIO is a triple-fan design with fancy (and obligatory at this point) RGB lighting. The backplate is silver (brushed aluminum?). 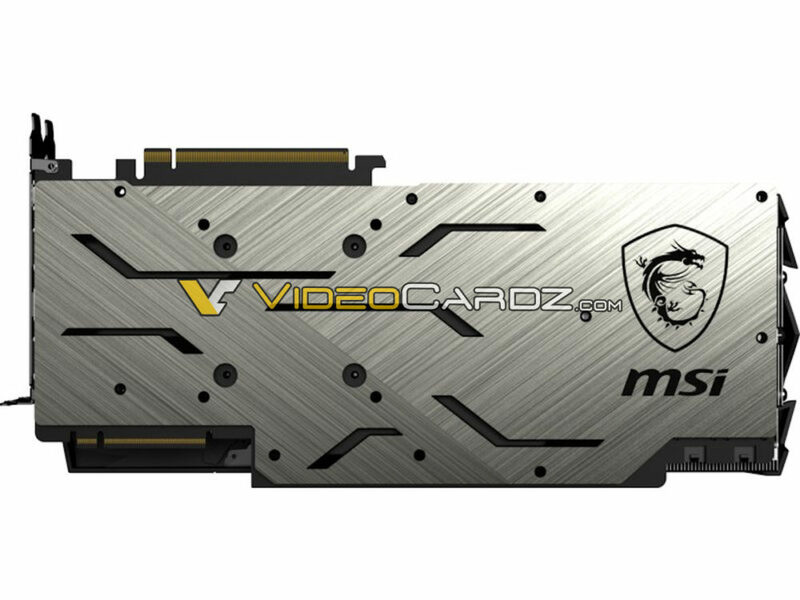 The card features the new Type-C VirtualLink connector and NVLink. NVIDIA abandoned SLI connector for the RTX series. 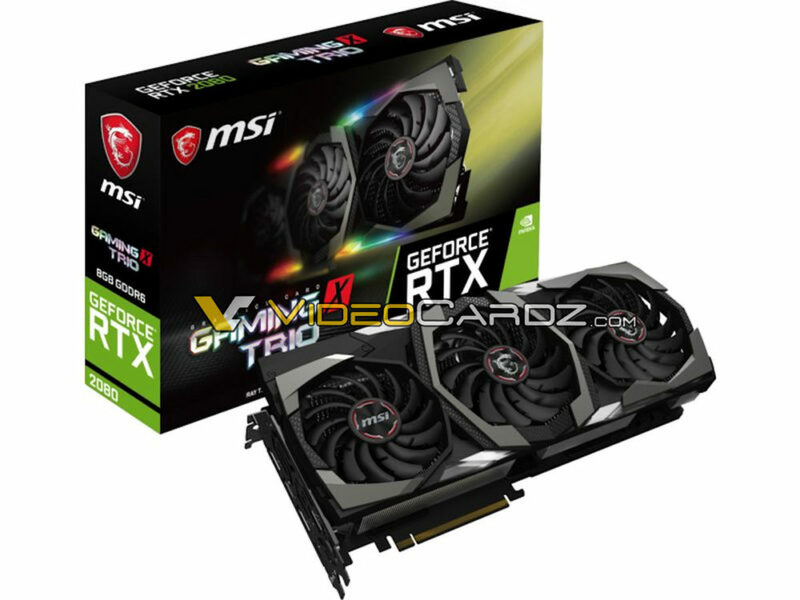 The GeForce RTX 2080 Ti GAMING X TRIO is equipped with dual 8-pin power connectors. More custom cards will be unveiled on Monday. We have more pictures to share soon. Stay tuned.